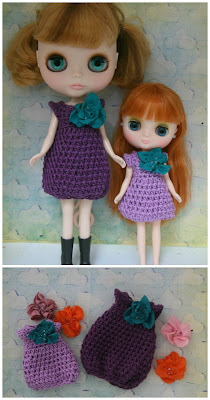 la petite chouette: Purple is it! I had a request this week from a lovely lady in South Africa for some of my bubble dresses for her girls. She has a thing for purple so that was the colour wanted, the flowers just needed to match. Here are my cuties doing some modelling of the finished dresses. These are so cute Angelique.